Being chic is being prepared, which is why I like to meal plan our weekly dinners and also why I often do freezer cooking: where I will spend one afternoon making a large batch, home cooked meal to freeze for a later date. I love to make freezer lasagnas because they keep so well and feed a crowd beautifully. If you ever have unexpected dinner guests, a lasagna is a crowd-pleaser, and paired with a salad and some bread rolls, can make your dinner quite elegant (but so easy to prepare!). In this week's video, come cooking with me as I make four and a half lasagnas: 3 1/2 meat and one vegetarian. Whenever I cook, I never have a set recipe, I just know I need a good, tasty sauce and that all the components need to be there. But I did capture this recipe for you, if you want to follow the steps to do this yourself. In a large Dutch oven, heat olive oil until warm, then add in chopped onion and garlic. Cook until softened, five to ten minutes. Add the ground beef and chopped sausage. Cook until the meat is browned. Drain the juices from the meat. Return meat to pan and add spaghetti sauce and stewed tomatoes, herbs, chopped fresh basil and salt and pepper. Bring to a boil and then lower temperature to simmer for 45 minutes. Meanwhile, make the cheese mixture. In a large bowl add the ricotta cheese, mozzarella cheese, 12oz of parmesan cheese and two eggs, lightly beaten. Add salt and pepper. With clean hands, mix the cheese mixture together. (You could use a spoon, but I find this is the most effective way. And it's fun!) Set aside. While all this is going on, boil a large pot of water and cook both boxes of lasagna noodles, following the package instructions. Once the noodles have cooked, drain the water and keep them stored on parchment paper, sprayed lightly with cooking oil so they don't stick together. Once all of your components are finished, you are ready to assemble your lasagnas. Lightly spray your aluminum baking pans with cooking spray. Place a ladle of sauce in the bottom of 3 pans, then lay down the noodles in a row. Now layer more sauce, a layer of the cheese mixture, noodles, sauce and parmesan cheese on top. Depending on how deep your pans are, you can create more layers. Mine were not so deep so I only put one layer of the cheese mixture in, which turned out just delicious. I ran out of meat sauce but had more cheese and lasagna left, so I made a vegetarian lasagna using an extra jar of marinara sauce I had on hand, to replace the meat sauce. Once your lasagnas are assembled, let them cool (no need to pre-bake them, but you must let them cool because the sauce and noodles will still be warm) and then spray the bottom of a sheet of aluminum foil with cooking spray (this is important so that your foil does not stick to the cheese) and label the top of the foil with what type of lasagna it is, the date assembled, and the cooking instructions. After the lasagna is frozen, you will take it out of the freezer the night before and place it in your refrigerator to thaw. Then the next day, pre-heat the oven to 350 degrees fahrenheit. Cook the lasagna for 60 to 90 minutes (depending on how much it thawed out). I find that one hour, twenty minutes is perfect. Keep the lasagna covered with foil for the first half of cooking time so the cheese does not burn, then remove the foil for the second half. Test to make sure it is warm in the center and enjoy! We had another impromptu dinner party the other night and I brought out a freezer lasagna the night before in preparation. It was delicious and such a hit! I love this recipe and hope you will embrace freezer cooking to make your life easier. **Update: Yesterday we had another lasagna for Sunday lunch and it was so tasty. My husband said it tasted just as it did the day I made them. This recipe was a hit! 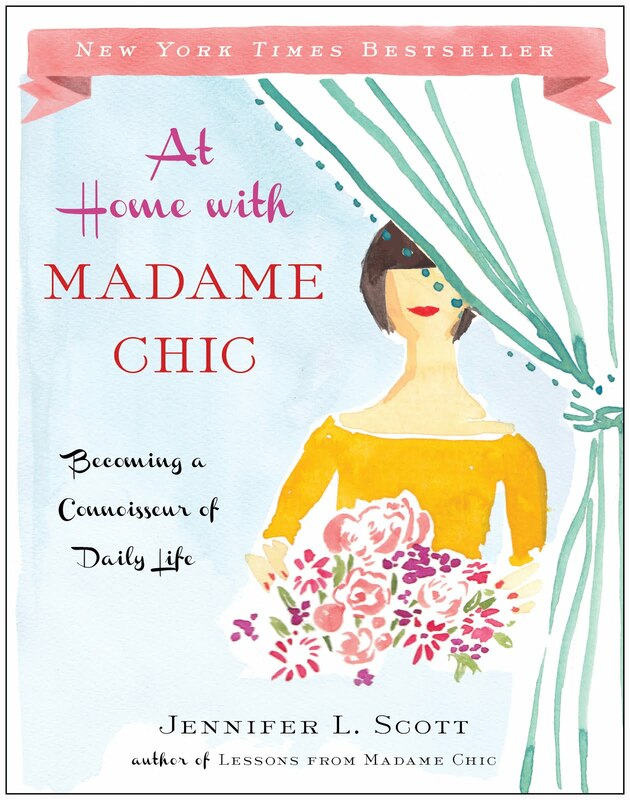 The Ordinary Homemaker gives 5 reasons to ditch the mom grunge and loves the Lessons from Madame Chic philosophy of looking presentable always. Cedar and Bloom creates her own ten-item wardrobe for new mothers. 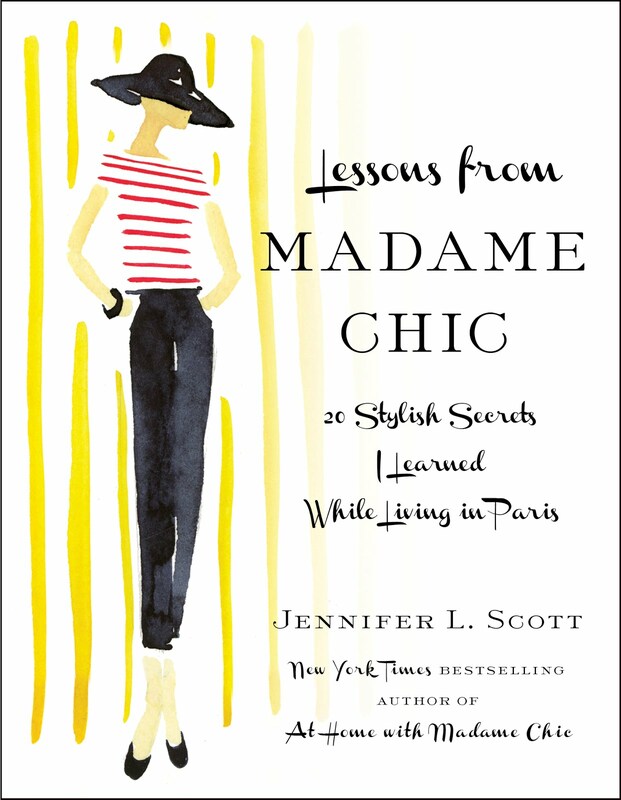 Joelle Charming mentions Lessons from Madame Chic when making her mealtimes more formal. Visual News shares my TEDx talk and asks, Could You Live With a Ten-Item Wardrobe? 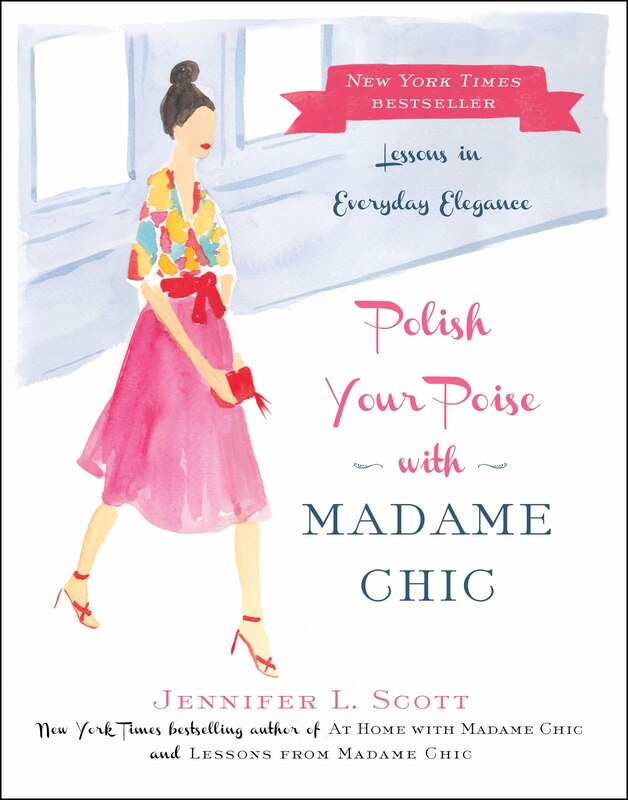 Quintessential Style blog says, "Polish Your Poise does what a good book is intended to do—provokes thought, enlightens, guides, and inspires", in her article, How is Your Poise? Hi Megan, Thank you for sharing your story. I'm sorry that some of your co-workers make thoughtless comments. What is so crucial here is that your response can not be based on what you think others are thinking. Because you recently started to put more effort into your appearance, you might be feeling self-conscious already, and thus more sensitive to compliments or comments on your new look. Whether people applaud you, or scoff at you, just do what makes you feel best. 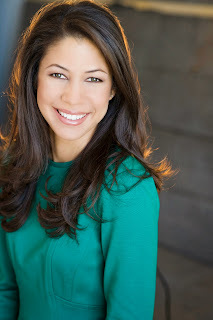 If you enjoy wearing light makeup to work and it puts a pep in your step, you should do it! The comments will eventually fade away when people realize that this is the new you. Reside comfortably in your own skin and your contentedness will be very mysterious to your co-workers. Good luck! Let us know how it goes. Wonderful video! Thanks! I have a question about how to serve the food when the table is small like this. Should the hostess put all the serving bowls/platters on the table and then the guests pass them? If so, is it improper to set the bowl/platter down between guests? Or should she bring one thing to the table at a time and be ready to take it back to the kitchen after it's gone around? Your table is beautiful and simple, but there isn't a lot of space to set down food items. What do you do? Thanks for all your videos and blog posts which help us live using and doing our best. And congratulations on #3!!!!! Thank you for your question SF. For this particular dinner party, and for most parties where we have more than four people at the table, I lay out the food on a side table (in our case, it is the island in our kitchen) and have the guests serve themselves buffet-style. If there are courses, I will serve the first course at the table so we all sit down and after that, collect the salad plate (or soup bowl) and then the guests serve themselves from the buffet table. Madame Chic had a small table as well and she would roll the food out on the food cart. She would then pass each dish around one at a time for us to serve ourselves. If there were only four of us, and if there was room, we would keep the dishes on the table. For larger dinner parties, the food would return to the cart. I hope that helps! And thank you for your congratulations on baby #3! Thank you for your questions, letters and comments. I want to once again thank everyone who has written to me via my author website. I want to respond to each and every email, but due to the volume of messages I receive, I am unable to. Please know that I read and appreciate every single one. This week I would love to know... do you ever do freezer cooking? Are you going to try the lasagna recipe? If you do, let me know how it turns out. See you on Thursday for a very exciting giveaway for Christy Linens! Looks delicious. I've been making lasagna since I married my Italian husband back in the '60s, and he taught me how to cook. I make the sauce that bubbles on the back of the stove for 4 hours. It is delicious! But, as usual, you have taught me something. I never thought to mix all the cheeses together. I always layered them. Your way is definitely easier. I'll try it next time I made lasagna. You are so right about batch cooking. I live alone and really, cooking for only one isn't that much fun. Over the weekend, I made a large pot of beef stew and portioned and froze it. I have to say it was delicious, and I look forward to having it throughout these cold winter months in Virginia. So comforting to have a big bowl and some garlic bread while sitting by the fireplace and watching the fire. One of my favorite quick but elegant dinners is to roast veggies, any kind but my favorite usually includes leeks and brussel sprouts in olive oil and garlic. I serve the veggies with a Trader Joes frozen pasta, truffle butter and or a balsamic glaze I buy from whole foods. I also serve a salad and bread. I always keep Trader Joe pasta in the freezer. Another fun alternative is homemade pizza(dough from trader joes) with fresh sliced mozzerella fresh basil and fresh veggies. Keeping pesto in the freezer makes for a nice and quick dinner. I am a vegeterian but my husband will grill chicken to go with the veggies. Another hosting tip I picked up from a friend who is an excellent hostess is to let your guest help prepare the food. We drink wine nibble on nibbles and prepare dinner together. It adds to the conversation and everyone feels apart of the meal. I love to go to her house. There is such a feeling of community with her dinners! Thank you for sharing your lasagna recipe! I find it helpful to keep frozen meals in the freezer for when friends have babies. In our various social circles, it seems like there is at least one new baby a month! While I want to be able to bless the family with a meal, there is not always adequate time to prepare additional home-cooked meals during the week. Last fall, I decided to make a huge batch of a delicious "Chinese Chicken Casserole," and froze multiple pans in our freezer. When it was my turn to take a family a meal, I would simply grab a pan, add a bag of salad and some frozen rolls, and deliver to a very grateful family. By preparing ahead of time, I have been able to provide more meals for families than I would have been able to had I prepared each meal individually. Congratulations on baby number 3!!! Whenever I make a recipe, I never halve it, even though it is just the two of us and most recipes feed anywhere from four to eight. Some things (like chili) I even double, to make sure that I have an adequate freezer supply. I divide it into however many meals it makes and freeze them. Then, whenever I don't have the time or the inclination to cook, I have a delicious meal ready to go. If there is only enough left for a single serving, my husband takes it to work for a home-cooked meal instead of a mostly processed restaurant meal. If it is something that does not freeze well (anything containing potatoes or eggplant), then it becomes single servings for him to take to work AND for me to eat as well. Even just a little dab of something can be served over rice or polenta and make quite a nice meal. These look delicious. Have you ever tried putting spinach in the ricotta mixture? I did this last time and even my kids liked it. You can't really taste the spinach it just looks pretty and you're getting in some vegetables! I thawed out some frozen spinach and added it to the ricotta mixture before assembling the lasagnes. Looks delicious...and you are right. Being chic is being prepared. I made a huge crock pot of chili last night - perfect for a cold night. Just the two of us, so we had a great dinner and now I have 4 containers with 2 servings each in my freezer. Whenever anyone is in the area, stops in for a visit, we are out together and I say "come and have dinner"...I am all set. Always have something in my freezer that I can make a quick dinner for guests. Hosting others is part of being poised...and when people say "don't fuss" I say I LIKE TO FUSS ! Why not make everyday special ? Congratulations on the new baby....so wonderful ! Thanks SO MUCH for answering my question about table etiquette! And your twitter post about table manners today was helpful too. And thanks for the linen giveaway. They are so pretty! This is so efficient and well organised -- I'm so pleased to see home cooking when it's all too common for families to get home deliveries or fast food these days, which is not at all chic or healthy. I get great enjoyment in seeking out my local butcher and fromagerie rather than buying prepackaged or processed goods from supermarkets. I know this is not always easy depending on where you live, but even making your own sauce purely with fresh tomatoes, instead of a processed canned sauce, which is often high in salt and additives, is much healthier. I'd just like your readers to be aware of organic choices, since you often speak of 'buying the best you can afford' -- I think this is actually even more important when it comes to food than fashion, because food is our medicine. While it's tempting, taking short cuts with ingredients is actually shortchanging our health and the environment, so I urge everyone to support your local markets, know who provides your food and go organic wherever possible. And if you must buy packaged or canned food, always, always read ingredients lists. If it doesn't come from the earth or you don't know what it is, it probably shouldn't be part of your diet.